Bright, refreshing, and just slightly dry, the April rain is a wonderful cocktail that's sure to put you in a spring mood. 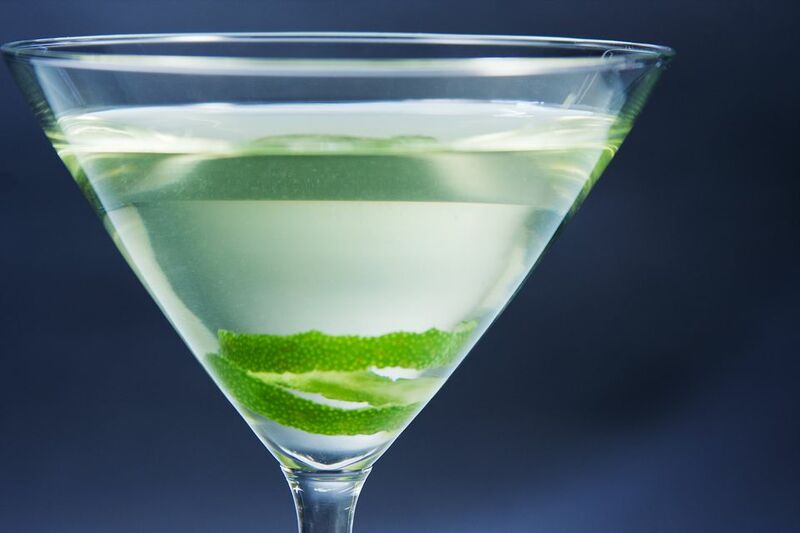 It's a simple variation on the vodka martini that gives the popular cocktail a lime twist. What is nice about this recipe is that it has a drier profile than other lime-flavored martinis. The only sweetness comes from the lime juice, which simultaneously adds a little sour to the drink. It's quite uplifting and a nice change from the sweet, fruity vodka martinis that are so popular. You'll find that the April rain makes an excellent dinner cocktail. Enjoy one before the meal as an aperitif or with dinner as its a delightful palate cleanser for any type of food, even spicy dishes. In a cocktail shaker filled with ice cubes, pour the vodka, lime juice, and vermouth. With just three ingredients that are all rather transparent, the April rain will be best when each is carefully selected and high quality. Begin with a top-shelf vodka that is nice and smooth. One that you enjoy straight is a perfect choice. For the vermouth, be sure that it's fresh. The fortified wine will lose its flavor and begin to taste stale if the bottle is open much longer than a couple of months. It's also best to store open bottles in the refrigerator. When in doubt, replace your vermouth with a new bottle. Fresh lime juice is almost essential in the April rain! You will have a much better tasting cocktail if you avoid bottled juices. The average lime yields about 1 ounce of juice, so you can even simply squeeze half a lime into the shaker. Serving your April rain in a chilled cocktail glass will complete the drink's wonderful experience. If you don't have one pre-chilled, place a few ice cubes in the glass while you shake up the drink, then dump them prior to straining. Retain the dry profile, but give this cocktail a little sparkle by adding a splash of tonic water. You can even transform it into a taller drink that's just as refreshing by serving it over ice in a collins glass, then topping it with tonic. That variation on the vodka tonic should last an entire meal. Make this drink with gin if you like. It will be like a gimlet with a vermouth twist and is an excellent alternative. How Strong Is an April Rain Cocktail? The April rain is one of those deceptive martini cocktails; it looks stunning but is rather strong at the same time. When made with an 80-proof vodka, you can expect its alcohol content to fall somewhere around 25 percent ABV (50 proof). That's normal for cocktails of this style and similar to the cosmopolitan.